Especially loving the last pair! Love visiting :) I hope your day is a wonderful one. Aloha, Cloudia! Lovely images and quotes. Enjoy your day! Three fabulous images my Hawaiian amie, and inspiring quotes as always, I need inspiration very much these days..
Intellect tempered with good emotions will hopefully be the future. Today's post is wonderful. I love the colors in your first picture, and the sentiments in the quotes are so uplifting. World love! I so like the sound of that! 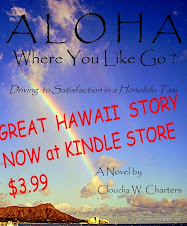 Aloha sweet Cloudia, enjoy your lovely skies and beautiful rays, and many happy smiles coming your way. Love the color in that first sky! The magic and the glory of the sky is one of the things which unifies us. Thank you for the reminder. Maybe we should link up with different thinking people to get fresh ideas. Have a great week! Thanks for the visit! Oh wow! These are awesome skies! Here's hoping Guillermo only gives us some much needed rain without the overly strong winds. Stay safe. I actually bought a can of Spam just for fun. When I'm feeling blue, it's here I come for brighter skies. Wow, you know how to find them too!